Hello lovely readers, I hope life is treating you well! I have an exciting giveaway to share with you today sponsored by Design Glassware by Mont Bleu! 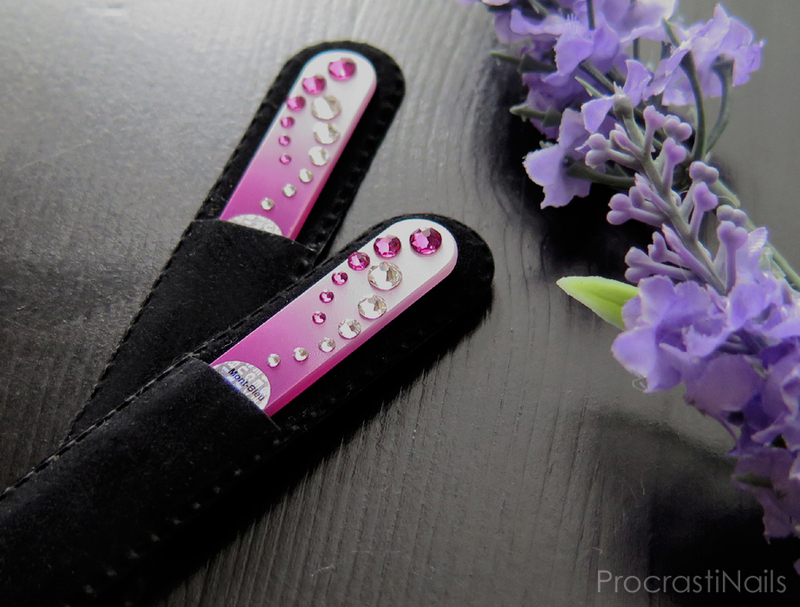 They are one of my favourite suppliers of crystal nail files and I personally own 4 of these babies in various colours and sizes. I've reviewed them before here! Today I'm sharing a giveaway that will give you the chance to win one of two crystal nail files with a pink-white gradient base, decorated with hand-placed SWAROVSKI® ELEMENTS crystals. All nail files by Design Glassware by Mont Bleu are made from Czech tempered glass and are very hygienic, and each comes in it's own velvet pouch.